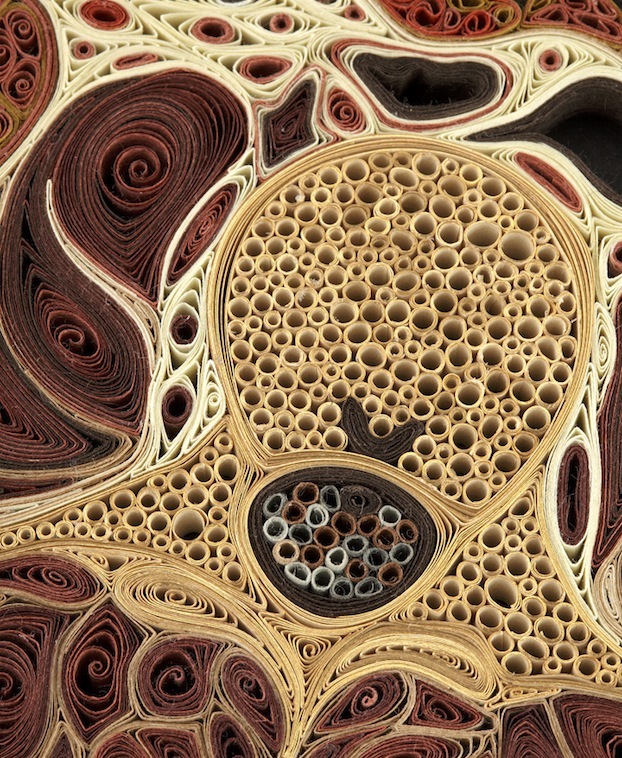 Cool and Creepy. 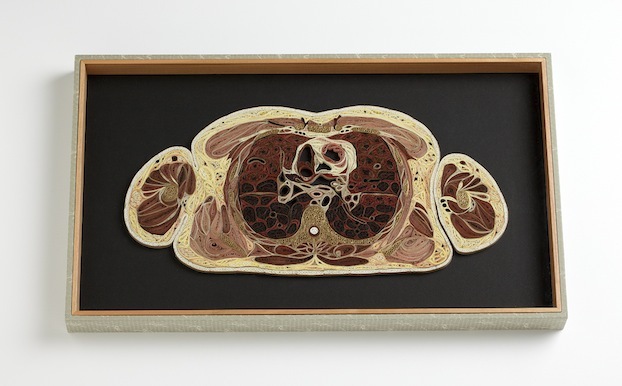 Anatomical Cross-Sections Made From Paper. 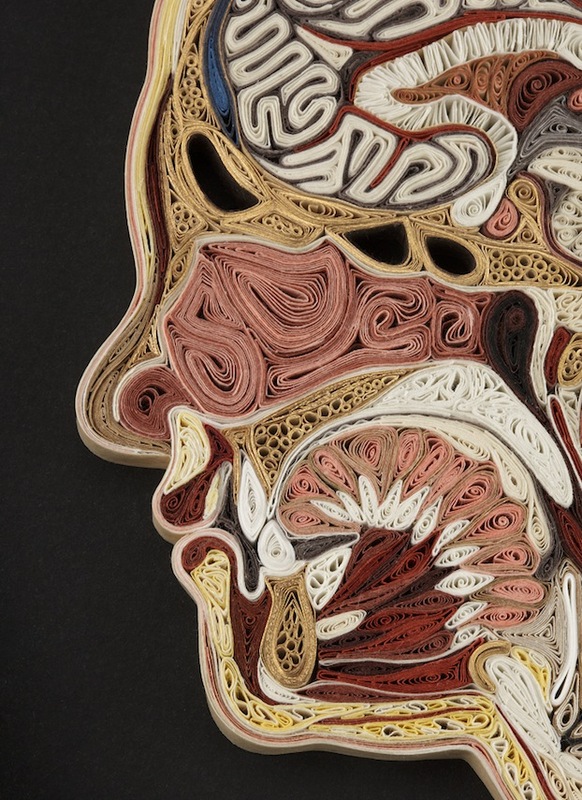 Artist Lisa Nilsson has taken the technique of quilling to a whole new level by creating these amazing (and kinda creepy) cross sections of the human body. 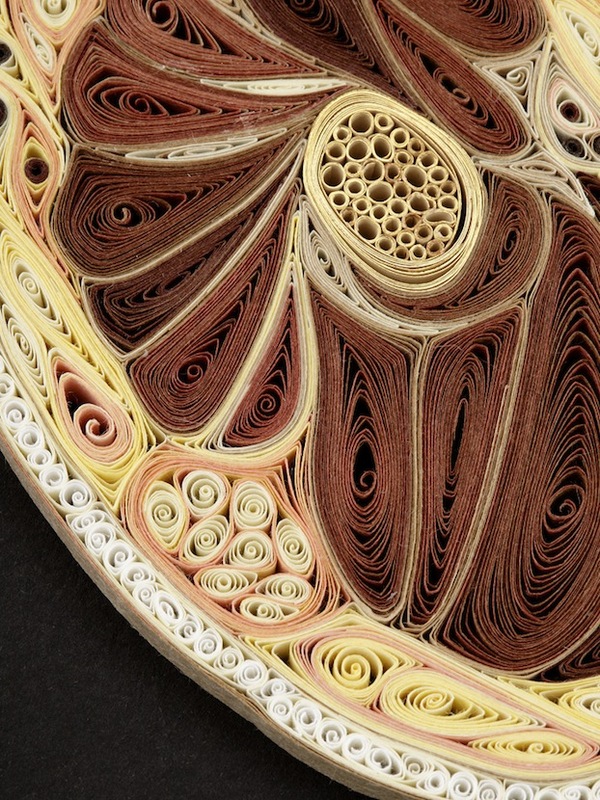 Also known as paper filigree, quilling is an art form that involves the use of strips of paper that are rolled, shaped, and glued together to create decorative designs. 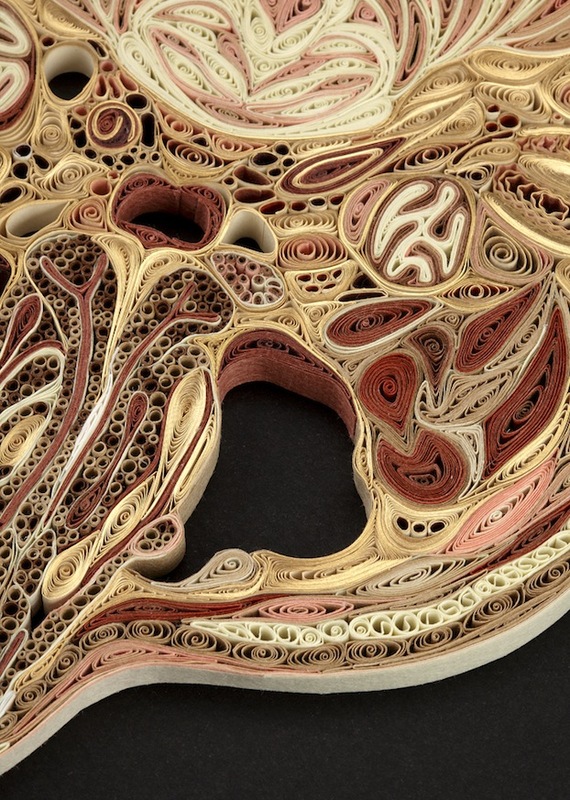 “I was out [junking] and came across an antique quilled piece of religious art. 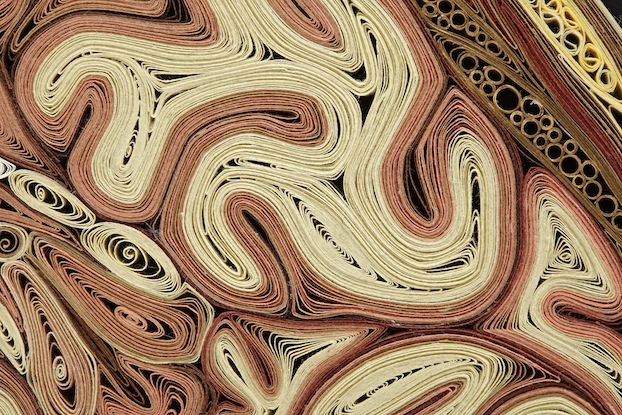 It was a very fancy filigreed crucifix-gilt. 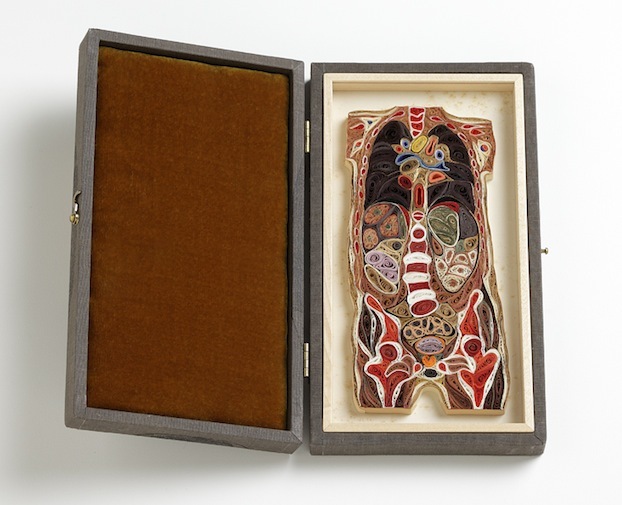 I later learned that nuns and monks used edges of old bibles to make pieces like this,” said Nilsson in an interview with ArtSake. 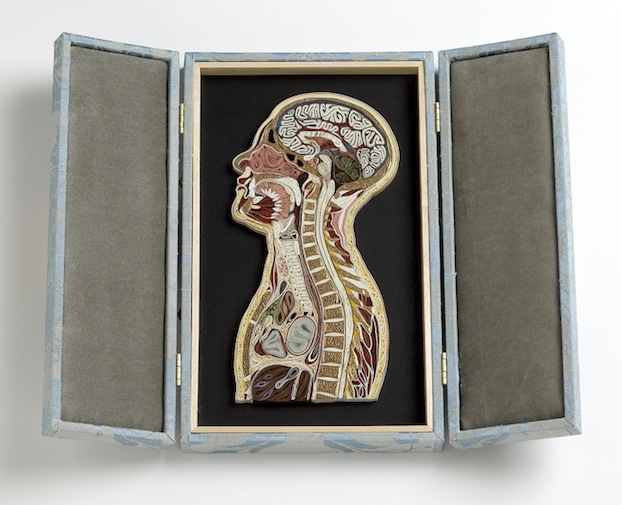 Around the same time, she had stumbled across a French book of hand-colored anatomical cross sections which she felt was a great way to showcase quilling.